- This is the first book that David's wife, Leigh, was credited as a co-author despite having previous collaborations. 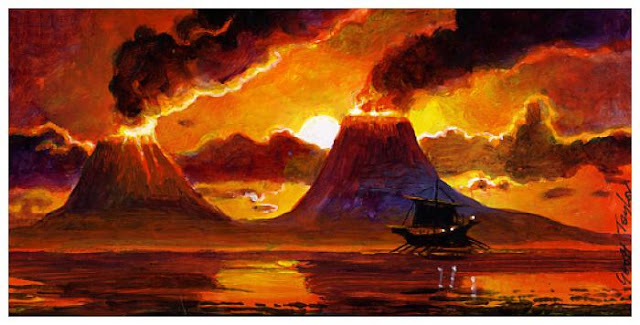 A new series, a new world, and a glorious story destined to reach the biggest audience yet. 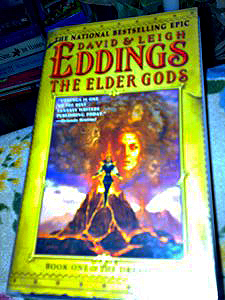 So claims the first book of Mr. and Mrs. Eddings' Dreamers series. And it was just not a claim as I personally believe that the book is greatly capable of attracting more and more audience. I wanted to buy this book the instant I first lay my eyes on it, unfortunately I have no money at that time. I waited for months before I could buy a copy in National Bookstore, Ayala in Cebu. "They are called the Dreamers. They look like sleeping children. They are, in fact, Gods. There are eight elder Gods, four awake, four asleep, by turns. When they sleep, they sleep for eons. The only time the Gods are vulnerable is when the sleepers awake. Knowing this, the Ruler of the Wasteland, ambitious to become a God by destroying Gods, watches and waits, marshaling troops for war. So it is that the coming of the Dreamers passes unnoticed in the Wasteland. But the world is soon out of kilter, it is being dreamed, and the awakening of gods is no simple transition. The sleeping Gods are stirring. When they wake the battle will begin. There will be trickery and deception. Tribes of humans, creatures of the deep, the sea itself and the earth, the weather and the divinities, all will play their part in the epic struggle against the Ruler of the Wasteland. The Elder Gods is the first in a new and eagerly anticipated series of four books from the bestselling authors David and Leigh Eddings. It is a magical, action–packed, totally engaging and characterful novel on the grandest scale."